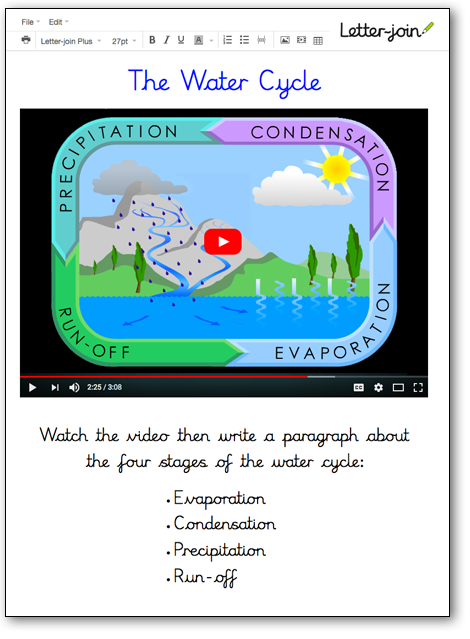 Letter-join includes hundreds of ready-made practice sheets to accompany each of the animations as well as worksheets for each of the school key stages. 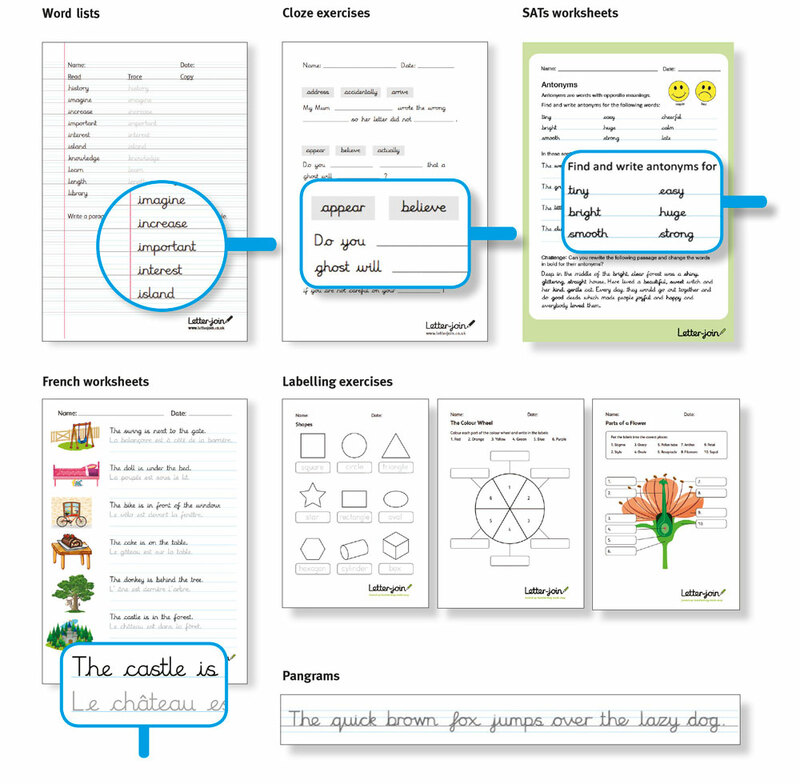 These include statutory word lists, SATs revision worksheets, Cloze exercises, sequencing sentences, pangrams, times tables, French vocabulary, labelling and form-filling exercises and are all produced using the continuous cursive font with a lead-in line. 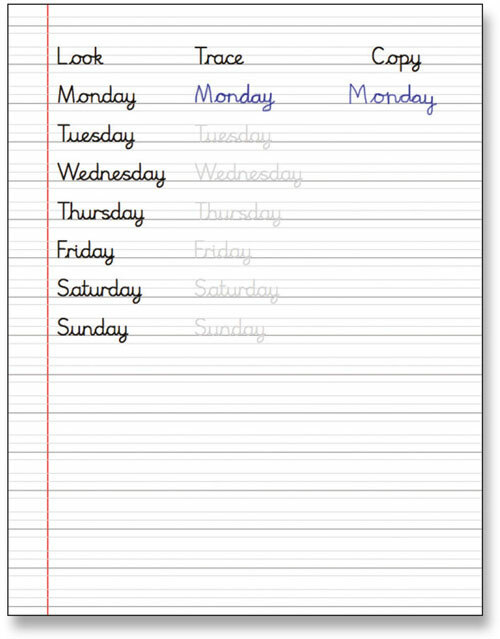 The cursive worksheets in the Resources section are not available without a lead-in line. 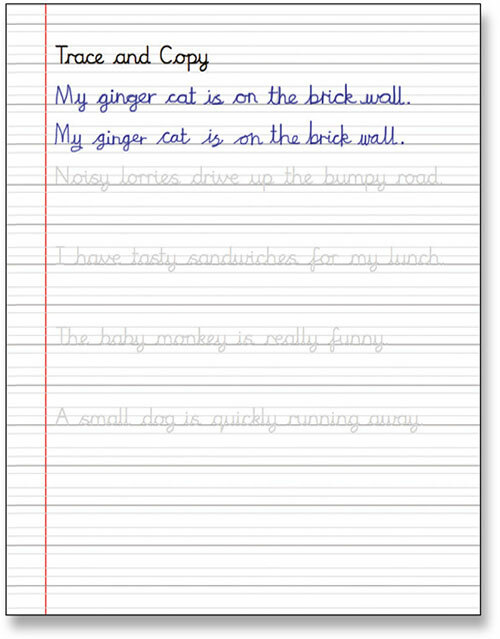 The worksheet generator produces your own handwriting worksheets using your chosen alternative letterforms. The heart of the generator is a newly designed font that replicates the handwriting style used on the Letter-join website. In three sizes with options to show all the guidelines or the baseline only. In three sizes with options to hide or show guidelines and with trace or trace and copy options. Use anywhere on any machine! The Letter-join on-line Word Processor allows you to create and save documents using the Letter-join fonts without having to download the fonts onto your computer. This is especially useful if you do not have Microsoft Word installed on your computer. It includes templates to create look, trace and copy spelling lists and presentation pages. 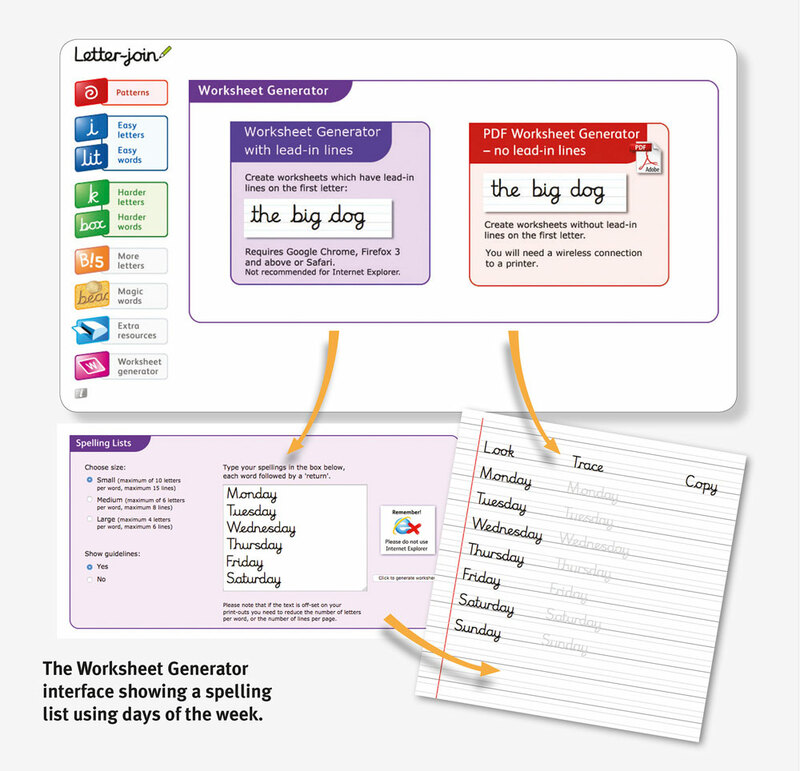 Make manual spelling lists or create them automatically from a classroom Word Bank. Create an on-screen display which can include images and videos from the internet. 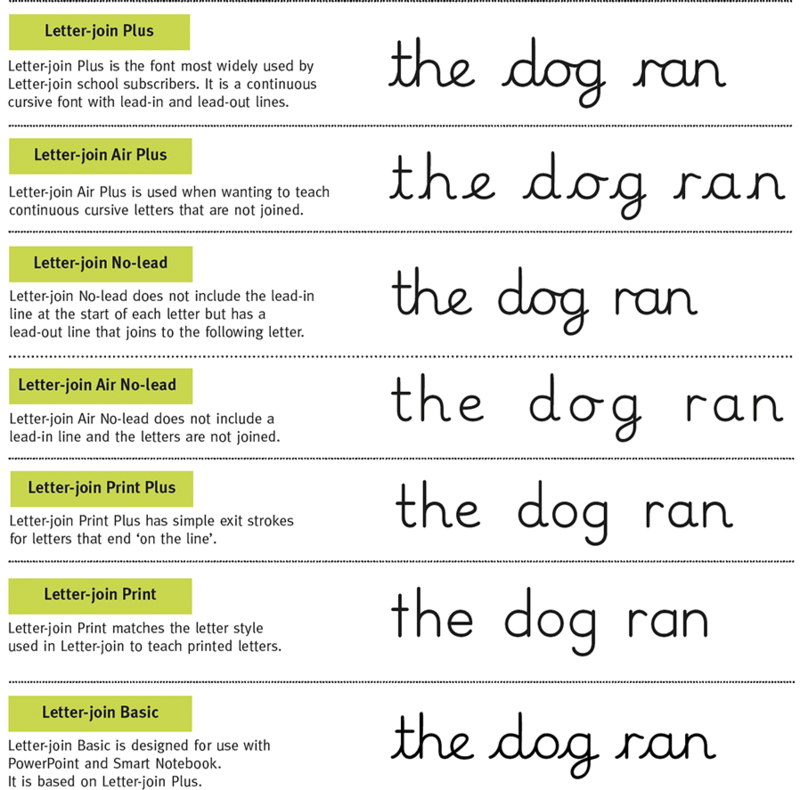 Letter-join Plus is our standard font which is used as the default font. Any of the other fonts can be selected on a classroom basis via the Info button. 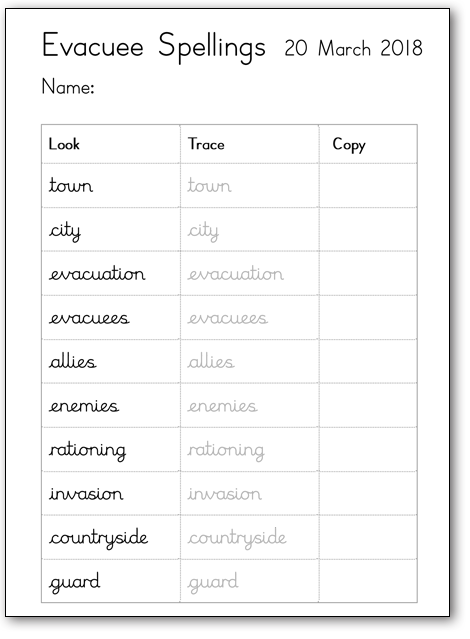 The fonts will be used on Worksheet Generator, Magic Words and Word Animator.